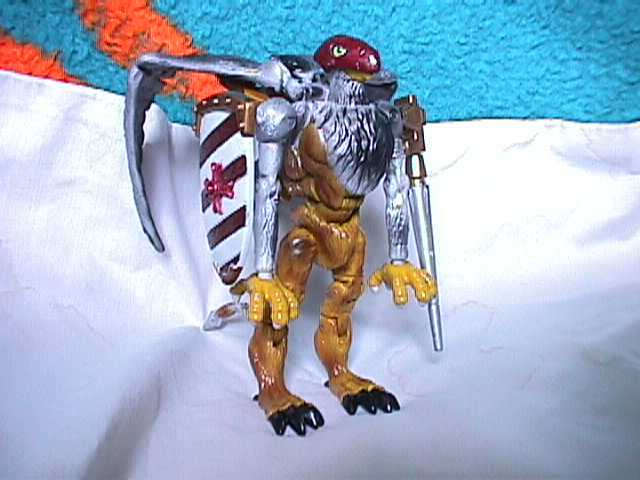 Repaint of Digimon Birdramon with parts from Animorphs Rachel. "Honor, courage, and conviction are the only things a true warrior needs to survive." recorded before Earth and Cybertron broke off their relations. Modeling himself after these examples, he now strives to take after the class of knights he took his name from. Although he hunts down evil wherever he finds it, he refuses to take unfair advantage of his foes. For example he will never hit an enemy from behind, while they're down, and he rarely if ever participates in a sneak attack. 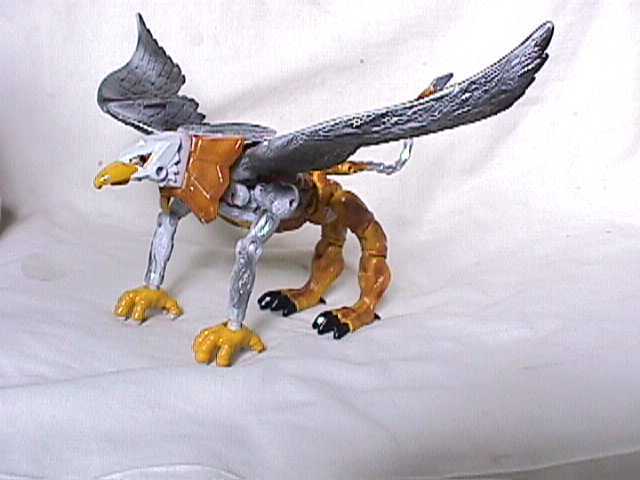 He is capable of flight in both modes, but prefers to do so only in beast mode. 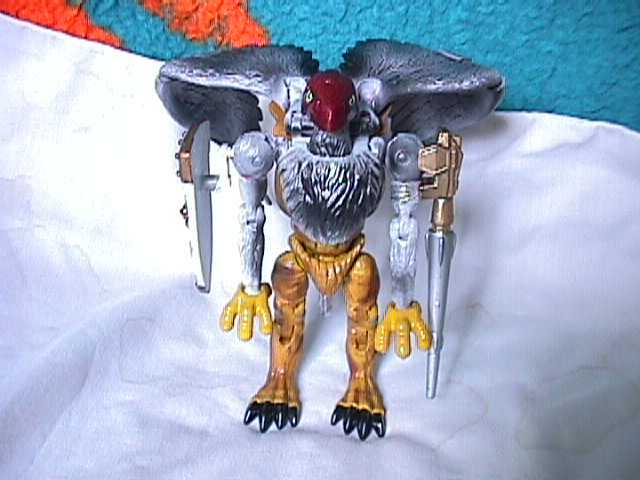 Mainly because he prefers close combat in robot mode, and most of the Terrorcons aren't flight capable. Although his shield looks low tech, it is actually made from titanium alloy tempered with a magnetic field. His power lance uses a similar technique, but he can also focus the field to fire short range energy pulses that can short out his foe. The tip of the lance is on a telescopic rail which allows it to be extended to three times it's original length. While his fellow Maximals admire his principles, they feel that they are a tad unrealistic, especially considering how desperate the war they are stuck in is.